I have a bunch of sketches of character pin ups that I plan to color.. 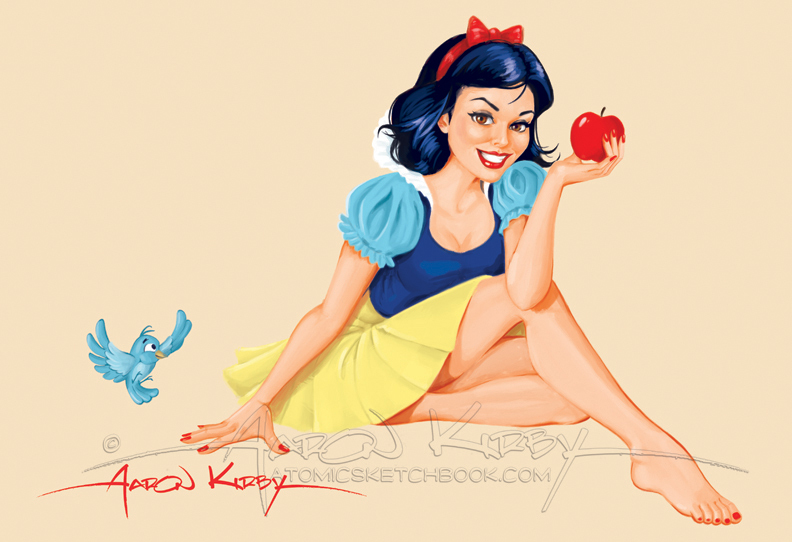 Snow White here is one of the few that I’ve been able to get to, she’s from the first feature at the big D so I thought she’d be perfect to be the first in this series. I’m sure these will evolve as I go so I may go back into this later to make them uniform, but I dig the way she looks so far..